Situated in the western part of Nepal and 135 kilometer far from the capital, Kathmandu, Aandhimul Primary school has carried eighty- five students on her lap. It is situated in Bandipur VDC, Tanahun. the SEF has close affinity with this school and had been supported it from 2002 to 2008. During this time, the SEF bear on the reconstruct of building and edifice classrooms with direct participation of community members. the SEF also supported for clean water supply, mending fence, holding a campaign on 'parents awareness campaign for quality education', conducting de-worming program for all students for six-month. In addition to that the SEF run an early childhood development (ECD) class and lunch program. Stationary equipments, sports material, the salary for an ECD teacher and peon, and financial and technical support for the newly established educational saving group were other vital tasks that the SEF helped. It brought four children who were suffering from illness, had treated in Kathmandu hospital by SEF. So far from 2002 to 2008 we had been working there with the direct involvement of community but after that period, a NGO began to work there. The SEF did not work thereafter but has regular contact to the school and the community. 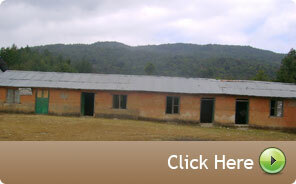 Bandevi Primary School, very close to Kathmandu metropolitan is 25 km far away situated in Ghumare Chowk VDC, Sankhu. 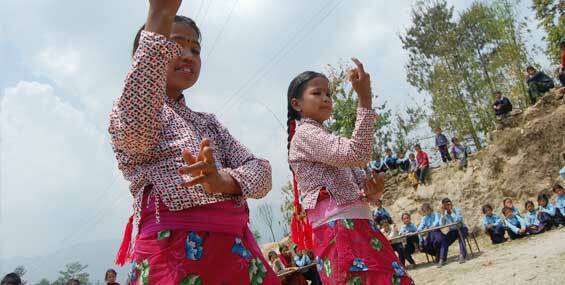 It consists of 98 students and most of them are Tamang, a race of Nepal. The condition of the school was very poor ( see pic;) and arrival of SEF has brought huge change both in infra-structural development and educational environment. Currently, SEF is supporting for reconstruction and repair of the school' building. It has also run campaign of 'educational saving program' and has helped them to run the campaign both economically as well as technically. More over, we have also managed stationary materials and sports equipments for them and has been lunching 'healthy lunch' program. 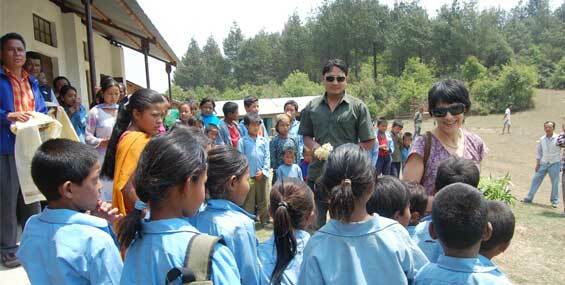 Shree Ram Primary School is located at remote area of Dumre village in Tanahun district and has 45 students. 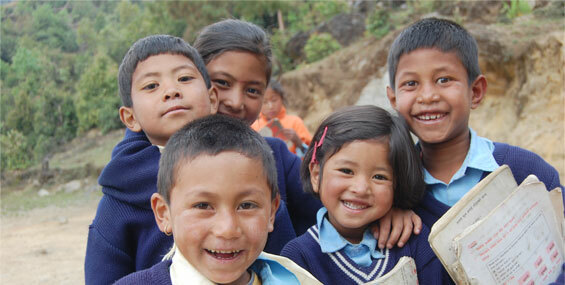 From our primary research we came to realize that Shree Ram Primary school needed a teacher. For the fulfillment of its need, SEF had supported financial support for two years (2006-2008) so that the school got a qualified teacher. More than that SEF had also sponsored for sports and educational materials. Situated in Kathmandu district, 24 km far from the metropolitan city of Kathmandu, Manichud Primary School, one of the most neglected school from government donation as well as non- government, is located at backward countryside of Thulo Vulvu of Sankhu VDC, has consist of 77 students. Therefore, SEF has been supporting the school from 2003-2010 by sponsoring them on building renovation, water supply, school uniform, play ground, lunch program, sports and educational materials, financial and technical support. We also lunched a campaign of an 'Educational Saving Group'. It is group of parents who save few amounts monthly so that the parents could help their children to study further. SEF had also mobilized international volunteers to co-work with the school, the teachers and the students in learning and teaching hoping for improvement of educational level of the school. During working period of SEF, the school, its member, parents and community were the active participant of this project from beginning to end. The educational saving group now has 250 regular members. The saving group has collectively earned 300 thousand Nepalese rupees till now. The school will be planning to manage themselves from the beginning of 2010 that was implemented by SEF. 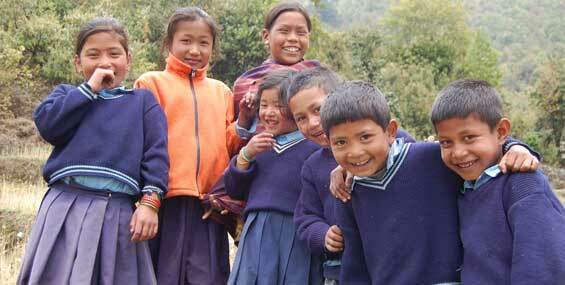 Harikirtan Primary School is situated in remote village named Makaibari of Dolakha District. It is a communal school, has consisted 250 students. SEF had sponsored for the additional construction of room, reconstruction of building and edifices. It had also supported for sport and educational materials, an ECD program, scholarships for children, and a lunch program. SEF had also established income generation programs "Educational Saving Program". With constant help and supporting of SEF, the school has seen immense changes. For instance, the school has 16 furnished classrooms. There are 215 members saving campaign. Even though, parents are economically poor, they are committed for children's education. Now, all community members participate actively in school's activities. This school is one of SEF’s most successful schools. In 2008, Harikirtan Primary School was awarded best school in the Dolakha district by the District Education Office, Dolakha. After successful implementation and maintenance of the school, SEF has phased out its financial support to this school from April 2010. However, SEF will maintain regular contact with this school and its community and will continue to provide support and advice where needed to continue with their outstanding achievements in improving the education of their children and the quality of life of the entire community. We will continue to provide scholarships to individual students in this community. - reconstructed the school's building.